The operator’s subsidiary Nordwestbahn will take over the running of the 10-line network from the end of 2021 and is procuring the units to enhance the existing fleet. Worth around €320 million, the new vehicles will add to the 100 Flirt trains Transdev is already operating across Germany. The three-car trains will be 68m-long and will be able to carry 397 passengers. Features include Wi-Fi and charging points for electric bikes. 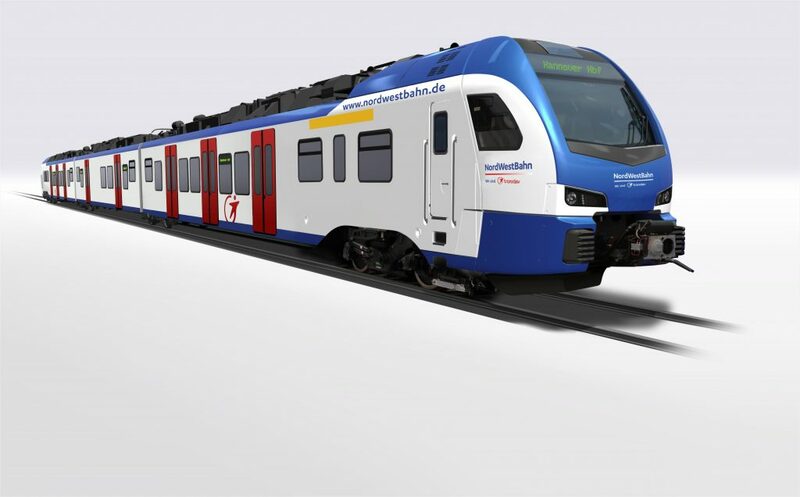 Thomas Ahlburg, CEO of Stadler, said: “We are very pleased to have received the order in the Lower Saxony region and that we can consolidate our pleasant and constructive cooperation with Transdev on the Hanover suburban railway.